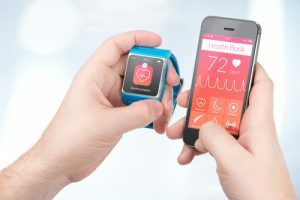 The internet has ushered in what might be a new era in Medical Devices as they begin to provide connectivity and communications to the health system to monitor the patient and provide critical clinical information on a real time basis to physicians and caregivers. The internet has ushered in what might be a new era in Medical Devices as they begin to provide connectivity and communications to the health system to monitor the patient and provide critical clinical information on a real time basis to physicians and caregivers. John Milad, an investor at NGBI Ventures in London will lead a special panel at OneMedForum SF 2012 in which leading investors in this emerging space will discuss opportunities. John brings an extensive track record in healthcare corporate finance and private equity. He joined from Insight Capital, which he founded to provide fundraising, strategy and M&A advisory services to life sciences companies and investors. Please click below to hear interview audio and see following transcript. To register to attend OneMedForum SF 2012, click here. Brett Johnson: Hi, Brett Johnson here with OneMedRadio in New York City. Today, we are with John Milad who is from NBGI Ventures, a London-based venture capital fund, which is focused exclusively in medical technology. John will be anchoring a panel at the OneMedForum in San Francisco on mobile health and medical devices. Thanks for joining us today, John. John Milad: Good morning. Thank you, Brett. BJ: So, John, some are saying the internet has ushered in what might be a new era in medical device development by providing connectivity to the healthcare system, which didn’t exist before. You know, first off, do you agree with this and how did you get interested in this area to begin with? JM: Sure. I agree with that, but I also think that it’s actually much broader than just the internet. The internet is just one key piece of the puzzle creating this opportunity built on new tools for delivering healthcare. Alongside that, you have the emergence of ubiquitous personal computing, mobile devices, very mature mobile and broadband connectivity that have been wired up pretty much everywhere in the world. So I think it’s a convergence of all those things with medical devices and applications can provide better tools for delivering healthcare. BJ: Some have made reference to where the PC was a number of years ago and drew out some comparisons. Do you buy that? JM: That’s very much an analogy that I use. The way I see things, up until the mid ’90s, PCs were common, but they were much handicapped or limited by the fact that they all operated in silos. They sat on people’s desks and generally weren’t connected to anything, except perhaps a local area network at best. But even achieving that required great IT savvy. Back then, you’d typically use a PC for discrete tasks like word processing or writing a spreadsheet, but the real potential both technically and commercially of the PC wasn’t truly unleashed until you started to see the emergence of broad-based connectivity, the internet and, subsequently, exponential content creation. Increased connectivity was leveraged to allow new types of network based solutions and applications, such as email, news services, collaboration and knowledge sharing tools such as wikis, cloud computing and storage, ecommerce, etc.—that’s what really unleashed the power of personal computers. This transitioned the PC from being a device mainly used intermittently for limited specialist use relating to discrete tasks to becoming the ubiquitous, multi-purpose platform that we see today; creating entire new industries and product categories that didn’t exist 10, 15 years ago. My view is that the healthcare today industry is at a similar inflection point to where the PC/IT industry was in the mid-1990s. If you look at the vast majority of medical devices–whether it’s some type of implant, a capital equipment box sitting by a patient’s bedside or elsewhere in the care setting–there’s very limited and poor connectivity and integration. The devices do something useful, performing a clinical task or spitting out a stream of monitoring parameters—but this is usually done in isolation. There is very little automated capturing and analysis of the performance characteristics and then integrating this with the entire care provision system. BJ: What problems can you see arising from such isolation of tasks? JM: A couple of years ago, I had a close family member who had major surgery. After a thankfully successful procedure, I visited her in the ICU, where I was able to observe the activity of a critical care nurse who was standing by her bedside monitoring her post-surgical recovery. As best as I could tell, the nurse was mainly preoccupied with watching a variety of patient-monitoring devices and panels and then manually recording the values from time to time on to a chart; and that seems to occupy 90% of her time and mental attention. It occurred to me, there’s something very wrong about that. The nurse was almost indifferent to the traditional hands-on, holistic aspects of patient care. She wasn’t very much interacting with the patient at a physical level or, say, concerning herself with the patient’s comfort. She was in a sort of frantic panic to record, I don’t know, maybe up to 15 different parameters that were streaming at her, from which she has to extract relevant clinical parameters to record, all the while somehow managing a cacophony of alarms that were popping up. I got the impression she was only dimly aware of a patient being there. 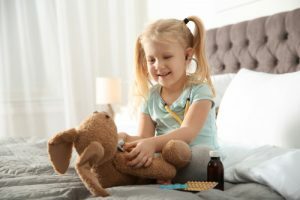 Many of the tedious activities that were preoccupying much of the nurse’s time could be better handled through automation, say through better integration of the various parameters being measured with automated recording and monitoring systems, combined perhaps with an algorithm to sort out when things fall outside of acceptable bands. It’s kind of a nightmare vision to see how we’ve gotten to a very funny place, with patients surrounded by all these boxes that generate streams of data that disappear into the ether without integration or coordination. In the process, creating more work for highly trained clinicians and alienating them from patients. Unlike many other industries where IT solutions and connectivity have enabled cheaper, faster, and better performance, freeing people from tedious, repetitious and high volume tasks—healthcare remains stuck in the dark ages. The limited adoption of technology has somehow managed to increase the burden on these highly skilled caregivers. Instead of making their jobs easier, and letting them focus on what humans are best: pattern recognition, judgment and relating to people, etc, the nurse I was observing was reduced to role of an automaton simply recording values on a piece of paper. There’s definitely something very wrong with that. BJ: How did you become involved as a device investor? JM: This experience helped me understand there’s an opportunity to provide caregivers, physicians, and patients with the tools to enable better decision making, to automate the tasks of recording and synthesizing large data streams and to unburden human operators from tedious tasks; allowing for better manage and care, especially for chronic diseases which involve long longitudinal trajectories. BJ: Can you name any companies or technologies that particularly struck your interest? JM: Last year, I came across a company in the UK called Cellnovo, which is a very highly innovative device startup that’s developing an entire system designed to help patients better manage diabetes. It consists of various elements that people have either implemented or tried individually, but have never brought them all together into a complete, integrated solution. The system consists of an extremely small and accurate patch pump for delivering continuous infusion of insulin that communicates wirelessly with a handset that has the design principles of an iPhone, such as a touchscreen GUI with clean, simple, intuitive interface and a number of apps relevant to the needs of diabetics. The system also monitors patient’s blood glucose levels. Initially, this will be through blood glucose strips, but the system is also capable of wireless integration with with CGM. The system automatically records all blood glucose measurements and uses that information to then help patients figure out what is the right bolus amount of insulin to take, say after a mealtime. Other important patient activity metrics are also collected. There’s an accelerometer that monitors patients’ physical activity. There’s a food journal that helps them keep track of what they’ve eaten and the carb values of those food items. So the system combines many tools that make the patient’s life a lot easier by guiding therapy and capturing a more complete, holistic and continuous picture of what is going on in their life. Moreover, all these parameters are recorded and reported wirelessly over a mobile connection to a secure server accessible by a web client, providing valuable information to patients, their physicians and their families. Cellnovo will provide a complete end-to-end solution by improving and automating a variety of tasks that patients already have to do, removing patient-burden, increasing accuracy and decision making. So I thought this is a really, really exciting solution that has been developed and I was very happy to become an investor in Cellnovo earlier this year. BJ: Are you seeing lots of companies now entering that space or trying to sort of take out and sort of labor saving in the monitoring area? Is that kind of a growing area in the venture investment business these days? JM: Well, there are a number of themes addressing the need for obtaining better information for improved clinical decision making. One aspect of this is to improve patient monitoring from a snapshot to a more continuous perspective. 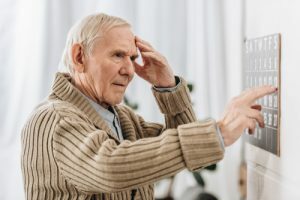 At present, monitoring often works by taking a patient and hooking them up to some type of device to get a value or you get a series of values for a limited window, and that somehow becomes a diagnostic tool potentially to aide therapy. What’s missing is a really continuous view of what’s happening to the patient over longer periods of time in a variety of different settings. So to just take a reading of a patient in a hospital is in a sense a little bit artificial or, you know, doing a blood draw every four or six hours and getting a single value of some analyte. It doesn’t really provide the full picture. So there’s an interest in developing monitoring technologies that operate more continuously and in real time to provide insight over longer intervals of time. 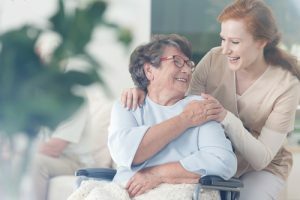 And that naturally lends itself to doing this outside of traditional care settings like hospitals and moving this into the community, say in the patients’ homes for certain applications. In turn, all this lends itself to some type of connectivity solution that feeds all the data in real-time to a backend that allows for an intelligent reporting of what’s being observed. So there are a number of trends in coming together in just this one area of patient monitoring—everything isn’t all joined up yet, but I definitely believe that’s where it’s going to go. BJ: So do you think continuous diagnostics is one of the biggest areas of this whole sector? JM: Continuous diagnostics and monitoring is a big industry right now. It’s about a $6B industry and it’s expected to double in two or three years. So it’s definitely one of the interesting areas, not the only one, but it’s certainly, a meaningful area that’s poised for significant growth. BJ: So what other big areas do you think are happening in this mobile health, medical device space? JM: In addition to this idea of patient monitoring, I’ve seen interesting ideas for implantable device that go into a patient. People are exploring ways to connect these devices to enable them to report operational parameters and clinical values, continuously, automatically and in real time. One could envision this for a diverse range of devices in areas such as deep brain stimulation, pacemakers, various prostheses and orthotics, etc.. Right these devices typically do their jobs well, but there they are silent to the outside world, with no remote reporting of how they’re doing their job or how the patient is doing. In my view, the low hanging fruit for connected healthcare is in specialist settings and not grand top-down architecture. We’re seeing this opportunity in diabetes with Cellnovo, and in other fields such as cardiac monitoring this is already happening. One can also envision a variety of applications across other fields, for example, in extracorporeal circuits. I think, robotics and remote care are also a part of the picture, providing the ability to perform a procedure at a distance or to make a diagnosis. So for example, a specialist device that could be used by a generalist or even a layman to collect relevant diagnostic information that gets transmitted to a specialist center, maybe histology or radiology, etc to interpret those results. This removes reliance on user skill dependence at the front end. BJ: Can you speak to healthcare needs in emerging countries? JM: In emerging countries there’s burgeoning demand for healthcare where traditionally there wasn’t much of a middle class. For example, now in China the middle class is as large as the entire population of the US. About 300M people are considered middle class in China. When faced with this very daunting task of suddenly needing to deliver healthcare to a nation that’s several times the size of the US in terms of total population, and with a middle class that’s equivalent to the entire US, there’s a need to adopt more radical solutions. Again a historical analogy might be useful. As you know, for the last 100 years the US has been an advanced industrial nation and enjoyed some very good fruits of being an early adopter of new technologies, for example, leading to the development of an extensive landline telephone system. But because that legacy technology was in place, later on the US was not a leader in the adoption of advanced mobile telephone systems due to the presence of adequate legacy systems. I can tell you that, by contrast, when I travel to places farther afield, say emerging market countries like Thailand, there’s often a better mobile telecom infrastructure in these countries than in the US, because they were starting farther behind and needed to leapfrog by adopting and embracing newer technologies in order to catch up. When they chose to implement solutions, they were able to start from a relatively clean slate to select from the latest technologies to develop their infrastructure. I think a similar process is going to happen with healthcare. The models that made sense in the 1950s will probably not make sense in the 21st century, and countries that are building fresh infrastructure will be free to develop and implement new models, new technologies, new ways of delivering better care. 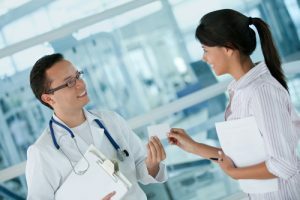 Healthcare will cease to be episodic interactions that take place almost exclusively in hospitals and doctors hospitals and will become more continuous and ubiquitous, expanding the care continuum into the community and patients’ homes, while taking a more longitudinal and continuous view on the patient. One facet of this will be a more rapid and extensive use of mobile health solutions. BJ: So, it sounds like certainly a lot of interesting developments in and around the mobile health area. Thanks so much for sharing those thoughts today, John. JM: My pleasure. Thank you. BJ: That was John Milad from NBGI Ventures, a London-based venture capital fund focused exclusively on medical technology. He was talking about some of the exciting developments in mobile health and medical devices. John will be anchoring a panel at the OneMedForum in San Francisco in January. This is Brett Johnson in New York for OneMedRadio signing off.